I got these to replace some wheels i was having issues with. These things are solid and feel great. glad i made the purchase. I was on eulogy before these. And they were good wheels yes. But they were slippery at the park with super smooth concrete and wood ramps. Since putting these on I haven't slipped out once and they have held up to my fat a** as well. 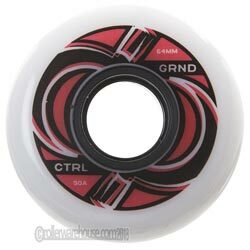 I recommend these wheels to anyone looking for a good anti rocker/ freestyle frame wheel.